Are you planning to have your own business in Lucknow? Well, whenever it comes to start a new business food business comes first in everyone’s mind. Actually food business is profitable venture in today’s time because food business is growing rapidly in India. And most importantly it is a business that can be started with low investment and can make money with sufficient margins. If you are looking for such food franchise opportunity in Lucknow then, Chaat Ka Chaska chaat franchise is the best opportunity for you. You can start your own business in Lucknow with highest ROI. So, grab the opportunity of Chaat Ka Chaska street food franchise business in Lucknow and become the member of India’s leading brand and growing food business family. Why Chaat Ka Chaska Franchise in Lucknow? Chaat is a traditional India street food. Every city has its own specialty but chaat is something that you can find anywhere in India. There are different varieties of chaat available in every city. When it comes to food specialty of different cities then, how can you forget to add the name of Lucknow in the list. Lucknow is a total foodies’ paradise. From Kababs to Paan, Biryani and what not. Well, where the delicacies of Lucknow is endless, here is another delicacy of Lucknow is the street foods. The Tikki chaat made with mashed boiled potatoes formed into little patties and then, fried crisp, served with white peas (matar) and topped with lemon, ginger and chaat masala and you simply cannot miss it when in Lucknow. 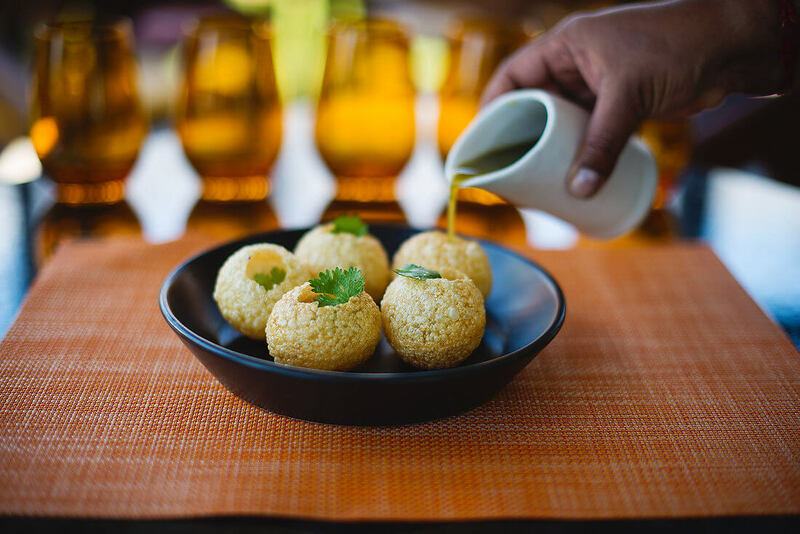 Here the very popular Golgappas are not called as Golgappa, panipuri or Puchhkas but as ‘Batashe’. Yes here you can enjoy yummy Pani Batashe. Not only the visitors but the local residents also enjoy these delicacies so, opening a street food store in Lucknow will be a wise decision and a profitable venture also. Chaat Ka Chaska is a leading brand in street food industry. We serve all the varieties of chaats you can find in streets of India but that are also notorious and unhygienic. But we deliver the street foods to the customers prepared through finest quality ingredients so, Chaat Ka Chaska street food or chaat franchise will be a very safe business for you. The city is also home to many industries, colleges and universities so there are chances of establishing a successful food business because due to these industries and institutes the youngsters have moved into the city from different parts of the country. And they have a huge contribution in the demand of hangout places, restaurants, cafe, food store, etc. So, these people can be your potential customers and you can enjoy making money through this business. If you have dreamed of having your business in Lucknow then, you should not miss the Chaat Ka Chaska chaat franchise opportunity in Lucknow to have establish your business and become your own boss. Lucknow is the largest city of the state Uttar Pradesh thus, it has so many favorable place where street food franchise store can be established. We will help you to select the right location also and provide excellent franchise support from pre-opening support to staff training and also a solid business plan for getting a successful business growth in Lucknow.